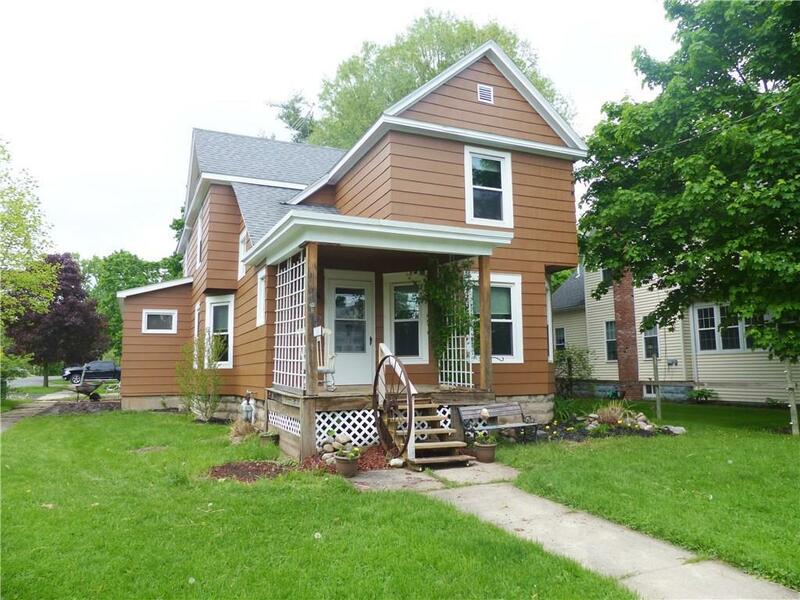 11 Pine Street, Seneca Falls, NY.| MLS# R1110392 | Coldwell Banker Finger Lakes | 315-789-6768 | Geneva NY Homes for Sale, FINGER LAKES PROPERTIES, Seneca Lake, Cayuga Lake, All of the Finger Lakes. Quiet 2 Story Colonial on a Corner lot with both front and back open porches. This home has original hardwood floors throughout! First floor: Kitchen, living room, large mudroom, large formal dining room and office/den. Second floor has 4 large bedrooms, with a bonus room that can be used as a playroom, large walk-in closet or nursery. Home has vinyl replacement windows throughout, many ceiling fans and newer furnace. Call today to tour this great home!!! Directions To Property: Cayuga St. (Route 5 & 20) To Pine St. Signs On Premises.